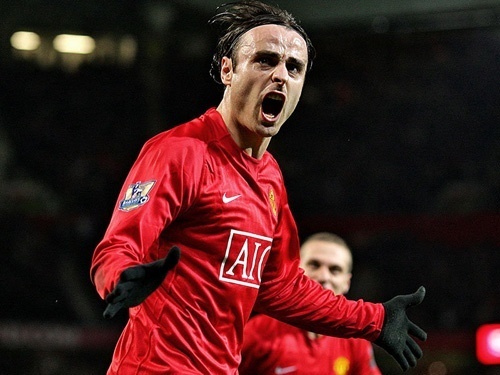 Bulgarian striker Dimitar Berbatov scored the final, fifth goal in a sensational Manchester United 5:2 victory over Tottenham that helped them retain their grip on top spot in the Premier League. Darren Bent smashed home from close range and Luka Modric converted Aaron Lennon’s cross as Spurs dominated. But then Ronaldo scored from the spot after Heurelho Gomes was harshly ruled to have felled Michael Carrick. Wayne Rooney quickly equalized before further goals for Ronaldo and Rooney. Having scored four goals in just 14 minutes, United poured forward in search of a fifth. Remarkably it arrived, courtesy of the boot of former Tottenham player Dimitar Berbatov. His initial header was saved by Gomes, but the Bulgarian stabbed home the loose ball to cap a remarkable afternoon.